Another busy week is flying by. Why is it that come mid-October all of a sudden Halloween is just next week, and Thanksgiving is almost here and, DANG! . . . it's time to start christmas shopping? Here I am again, running late for all of it. Every year I have a long list of things that I want to make for the holidays and every year I get some of it started and most of it put on the back burner. again. I got some deadlines to take care of, and I'm out the door tomorrow morning on a business trip. In the meantime, I'll just take a quick break and post some pictures of some pretty flowers still blooming in my garden. In fact my garden looks pretty fine right now. The cooler temperatures sure do agree with it. Our trees have only just barely begun to turn so it's still quite green and lush here. 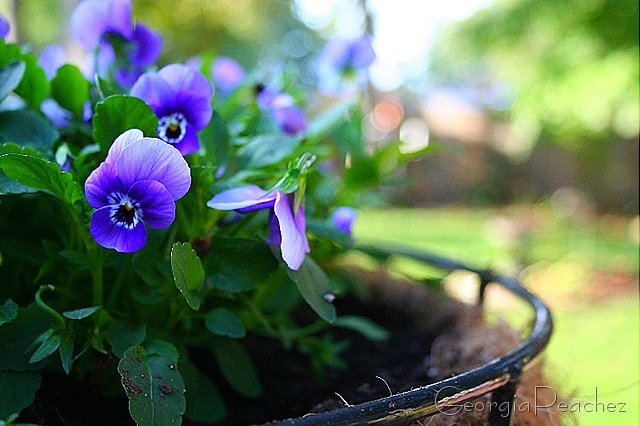 I did get some violas planted this week, I love them! 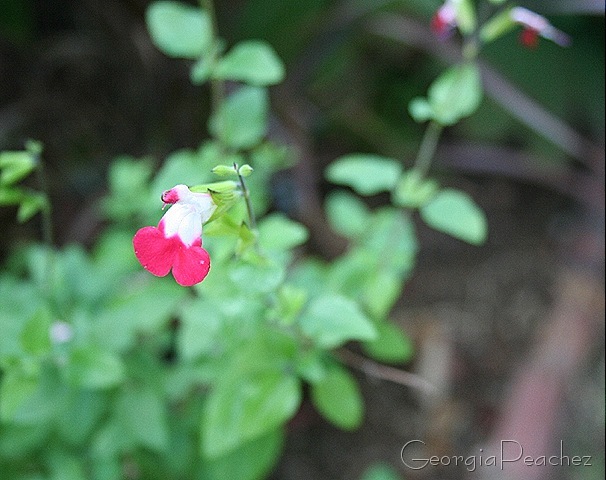 I have a bunch of salvias in my garden. 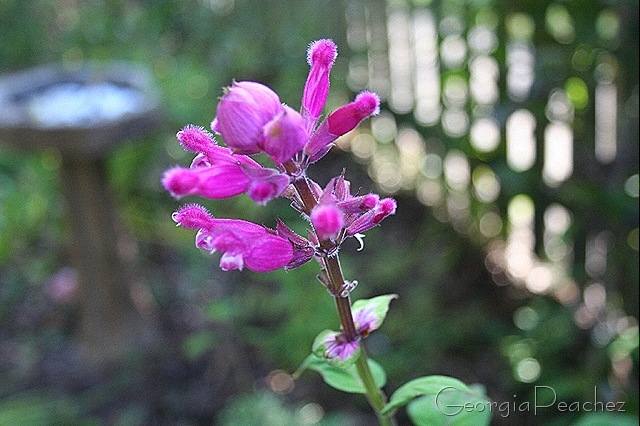 They are one of my favorite perennials. 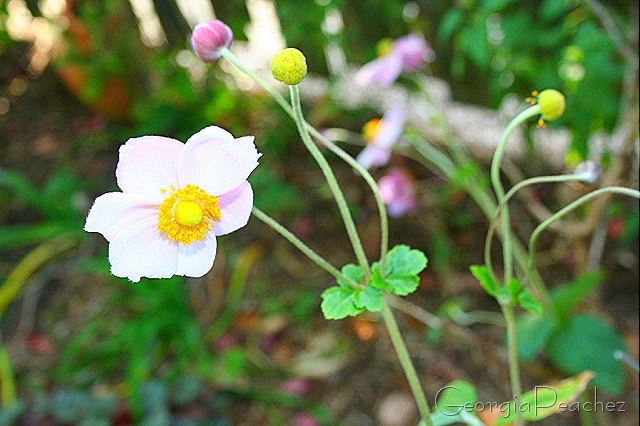 Japanese anemone. If you don't have this already, get over to the garden center right now. 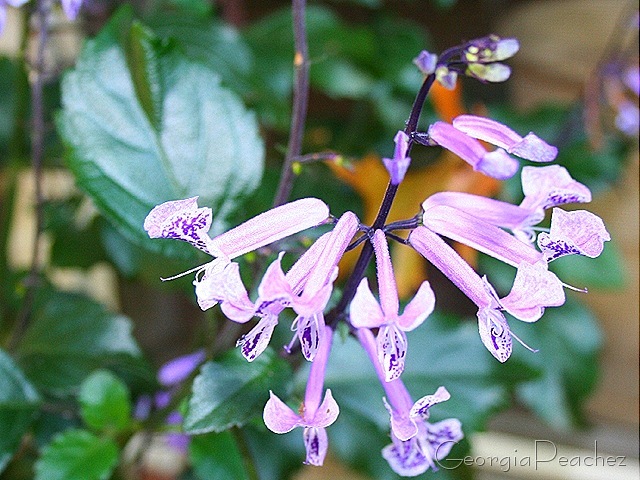 Beautiful flowers that bloom profusely for several weeks in late summer, early fall. Back soon with some creative things I've been working on. Such as what to do with those awesomely fabulous Shiny Brite boxes that vintage ornaments come in. I've got an idea. . . . I recently purchased the anemone! I love it. Our leaves are turning and falling. I like the cooler weather. A neighbor said that pansies are in the nurseries. I can’t wait to get some. Be safe on your trip, Suzy! Yep, I want to know what’s up with those boxes, too. 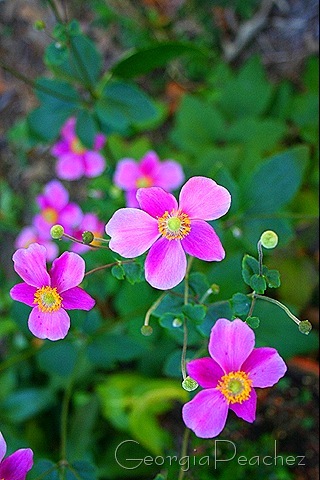 Your flowers are gorgeous. We had a freeze this week, so those days are over for us. Wow, it’s funny to see such beautiful flowers this time of year. Jack Frost already killed mine! Can’t wait to see what you do with the Shiny Brite stuff, you’re so creative.